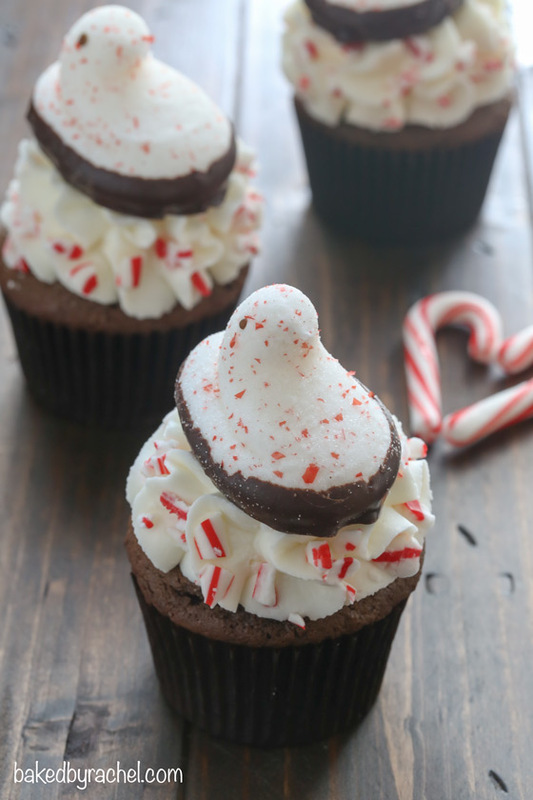 Moist chocolate cupcakes topped off with creamy peppermint buttercream frosting and a PEEPS® chocolate dipped candy cane marshmallow chick! A fun and flavorful holiday dessert! It’s funny how the second December hits, peppermint everything is immediately acceptable. But, not a moment sooner. I love the food phases and monthly flavor changes. It always gives me something new to look forward to. For the next month, I’ll happily enjoy all things peppermint and candy cane flavored. Because, it’s the one month out of the year that it’s totally acceptable and encouraged to enjoy anything and everything peppermint flavored! Every other holiday flavor can easily be enjoyed throughout the year, but pepperminty goodness… that’s definitely a December treat. I reserve the right to change my mind… just in case I decide on a whim to share something pepperminty in July. Christmas in July… we should definitely start celebrating it for real. I’m sharing this fun and festive recipe for the “24 Days of PEEPSONALITY, a fun month long celebration of recipes all featuring a different variety of PEEPS®! 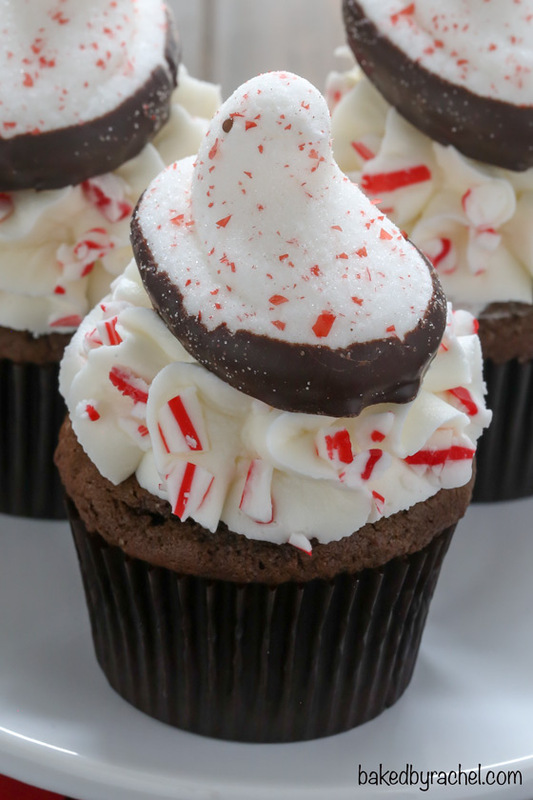 I couldn’t resist the opportunity to whip up a new cupcake recipe, perfect for the holidays! Chocolate and peppermint are perfect together, so it was a no brainer to put these two scrumptious flavors together. Moist homemade chocolate cupcakes topped off with creamy peppermint buttercream frosting, crushed candy canes and PEEPS® chocolate dipped candy cane flavored chicks! These are sure to be a hit at your next holiday party! Who doesn’t love a discount?! I have an exclusive discount code for you to use on your next purchase from the PEEPS® online store. Enter SWEETINGS15 during checkout, to receive 20% off your entire order! This code is valid through December 31, 2015 and has no minimum purchase requirements! There are so many cute items, I could get lost in their online shop for hours! Moist chocolate cupcakes topped off with creamy peppermint buttercream frosting and a PEEPS® chocolate dipped candy cane marshmallow chick! A fun holiday dessert! Preheat oven to 350°F. Line a cupcake pan with 8 paper liners. In a large bowl, cream together butter and sugars. Beat in the eggs and vanilla. Scrape bowl as needed. 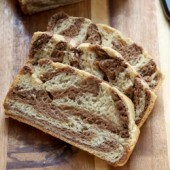 Mix in baking soda and unsweetened cocoa powder. 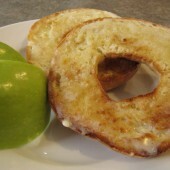 Alternate additions of sour cream and flour until fully incorporated and no streaks remain. Divide mixture between paper liners. Bake for 20-22 minutes, or until a toothpick inserted comes out clean. Cool on a wire rack. In a large bowl, beat together butter, shortening and peppermint extract until smooth. Add powdered sugar in 1/2 cup batches, mixing well between additions. Continue mixing until fully combined and smooth. Frost cooled cupcakes with a piping bag and piping tip, or an offset spatula. Decorate sides of frosting with crushed candy canes. Top off with PEEPS® chocolate dipped candy cane flavored chicks. Store in an airtight container for up to several days. This post is sponsored by PEEPS®. As always, all thoughts and opinions are completely my own. Delicious cupcake… :3 Give me one of them, sincerally! THESE ARE SO CUTE! I just love the holidays! Thanks for the awesome code, love me some discounts as well! I swear you can only find PEEPS during the Easter Holiday! 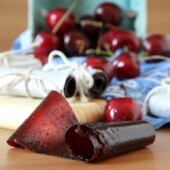 :) So going to be making these. I can’t get over the cuteness of these cupcakes. They’ll make great snacks for the school holiday party this year! Agreed Rachel, it’s a woman’s right to change her mind, peppermints included.(!) Loving your adorable Peeps cupcakes today. Those little chicks look adorable perched on top of each cupcake. So delicious and especially fun for a children’s classroom Christmas party. I am so crushing on these cupcakes – and those PEEPS. I think I need to buy a pack or 6 for my hot chocolate! And inhale the cupcakes, obvi. 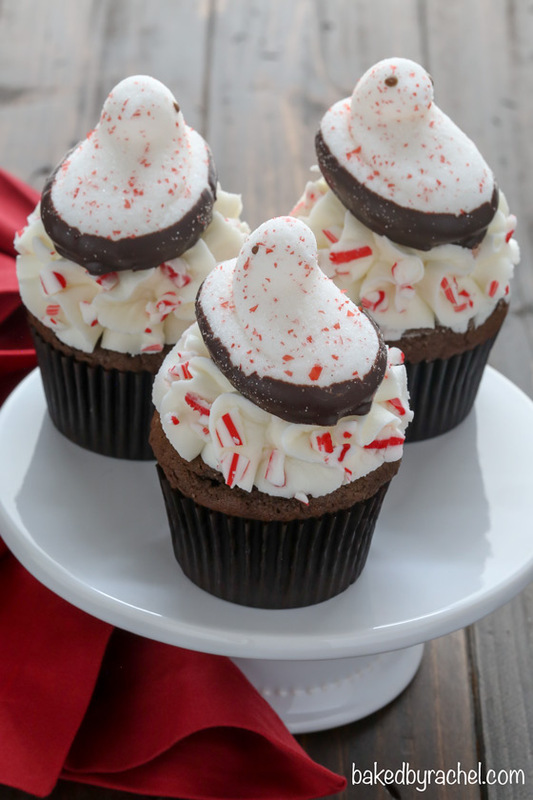 Chocolate and peppermint are a favorite combination at our house. These cupcakes are so cute! 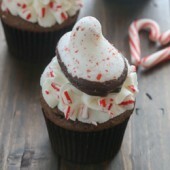 I will happily have anything chocolate and peppermint and these peeps are too cute on these cupcakes! What is it about these Peeps that makes them so adorable? It must be the chocolate! They look so cute and delicious! !